What can 53,073 nature-loving volunteers achieve in three hours? Many things, including cleaning up more than 734,606 pounds of trash from our beautiful California shorelines! KIDS for the BAY staff, family and friends were proud to join the 2018 Coastal Clean-Up effort on a special, sunny Saturday morning at Point Pinole in Richmond with East Bay Regional Park District. Together, our team cleaned up over 2,800 pieces, totaling 52 gallons, of trash! “In only three hours, tens of thousands of Californians removed hundreds of tons of trash from our environment. It’s truly amazing what we can accomplish when we work together to protect our coast and ocean,” reflected Jack Ainsworth, the Executive Director of the California Coastal Commission. 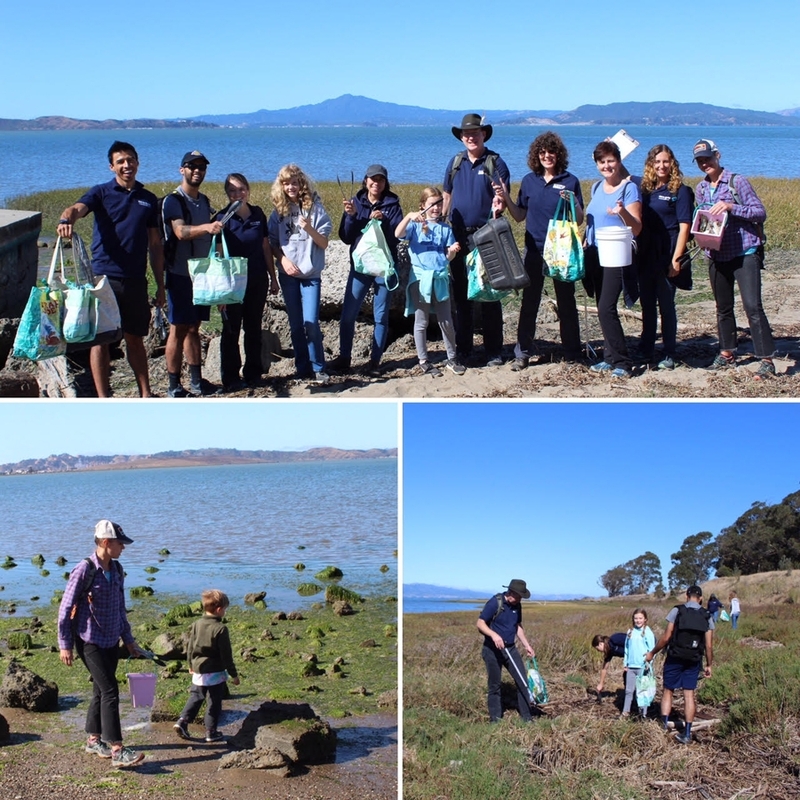 During the clean-up, KIDS for the BAY volunteers were surprised to find hundreds of small, uniform pieces of plastic all over the marshlands and sandy portions of the Point Pinole beach. We filled an entire reusable bag full of these mysterious objects, as we deliberated about their source. James, one of our dedicated volunteers, was able to identify them as the transparent plastic hulls found in guns called gun shell wads. We realized that the source of these small, but significant, pieces of plastic was a nearby shooting range. When a gun is shot, it is very difficult to locate these pieces of plastic and they often end up as trash that pollutes the coastline. Companies like GreenOps Ammo are making biodegradable wads, but the majority of wads are plastic and will be left to pollute the outdoors unless members of the community continue to care for our natural spaces by speaking up and urging shooting ranges to use biodegradable wads. Together, we can work to be mindful of how our hobbies could be affecting the natural environment and contributing to our shared impact. Remember, any day can be Coastal Clean-Up Day if you decide that it is!